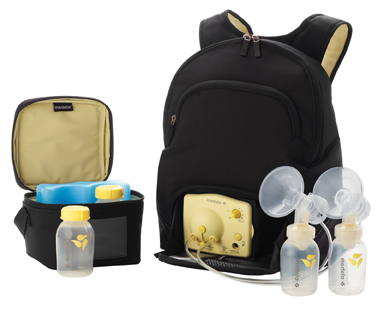 View cart “Breastpump Shoulder Bag Set” has been added to your cart. An adjustable speed/vacuum dial lets you choose the most comfortable setting, and the battery pack lets you pump anywhere at any time. Create more milk in less time with 2-Phase Expression technology, and pump efficiently with the Maximum Comfort Vacuum option. A stylish PVC-free backpack holds everything you need to pump, including a removable cooler bag with a contoured ice pack that can keep milk cool for up to 12 hours. The pack offers ergonomic padded straps for carrying comfort and an integrated work surface for convenience. 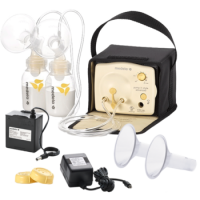 All parts of the pump that come in contact with breastmilk are made without BPA.